I think I can say with certainty that 2013 was one of the best years we’ve had in the world of video games. And my, did we play and discuss games! After writing down almost all the 2013 games we played, I can’t believe we actually played so many titles this year alone. Sure, over the course of 9 months of doing this podcast we branched out into other aspects of geek culture like comics and movies, but video games are at main the core of The Pixelbot. So, in alphabetical order, here’s the list of console/pc and mobile games we covered in 2013. What were your top games of this year? Let us know in the comments. Happy New Year, everyone! I will keep this article spoiler-free for those who have yet to see the film. Also, this isn’t necessarily a movie review. I guess you can say it’s more of my musings on one of the misconceptions many have had in regards to Man of Steel. I managed to take my dad last weekend to see the film (and lunch and froyo) as a father’s day gift, and he thoroughly enjoyed the movie. As this week went by I began to contemplate about the film and people’s mixed reactions to it. Superman has always been portrayed as the “boy scout” superhero, the Captain America of sorts to DC Comics. Armed with a strong sense of justice, charisma, leadership and of course amazing superpowers, Clark Kent/Kal-El/Superman has been the quintessential superhero of not only the United States but of the western world. But how would a being like Clark Kent be treated in a more “realistic” setting? Zack Snyder, Christopher Nolan and David Goyer decided to tackle this question in Man of Steel. I think that because the name “Christopher Nolan” was attached to the project, a majority of the people (myself included) were expecting a “Dark Knight” seriousness to Man of Steel. And indeed the movie was serious, but a different kind of serious. In what ways, you ask? Batman is raised without parents for a majority of his life (though Alfred is seen as the ‘father figure’ in Bruce’s life). The murder of his parents leads him to swear revenge on crime and to rid Gotham City by striking fear into the hearts of criminals. Superman is raised by two adoptive parents in middle America. Because of their positive influence on him, Superman develops a solidified view of justice, sacrifice and right & wrong. Though there are many more points that can be made (depending on which story arc you’re using as a point of reference), we can all come to a general consensus about the Dark Knight and Man of Steel: they’re different personalities. How Bruce Wayne and Clark Kent were raised as children molded them into two very distinct men. One mainly seeks to destroy evil through fear and intimidation to avenge the murder of his loved ones, the other to be a protector and uphold morality. One lives in the gray, the other in black and white. Both men seek to protect the innocent, but their methods of achieving their goals are on opposite ends of the spectrum. 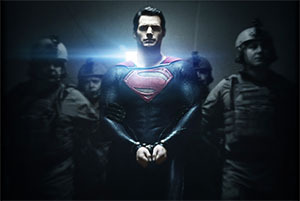 So that brings me to my point in how Man of Steel is a different kind of “serious” than the Dark Knight films. I believe that the serious nature of the film revolves around this principle: to truly protect people you may have to make extremely tough decisions even if they aren’t the most popular ones. Though the Batman films addressed this same principle, what distinguished Man of Steel is that now you have a character with strong, moral, “black & white” principles who’s thrown into the gray area. How would the “boy scout in blue” act when he has to protect people who may not even appreciate him? To what extreme will he go to save lives? Are certain actions justifiable? I understand that comic book fans were not too pleased with the controversial ending of the film, particularly Mark Waid who has been very vocal about Man of Steel (his review does contain spoilers). As a relatively new comic book fan, I haven’t been too deep into the Superman mythos but I at least know the basics of who he is, having grown up in the 90s and watched a little bit of Superman: The Animated Series. But for me, I’m more than willing to give new visions of comic book characters a try. Zack Snyder pushes the film into controversial territory but I feel like he does so to provoke those questions I mentioned in the previous paragraph. At the very least, it gets us talking about those important questions. As a self-proclaimed geek, I get that our lot is very protective of the characters we’ve grown to love and cherish. They’re like friends that have been with us every step of our journey through life. When those characters are changed dramatically from what we have grown up with, we get outraged a majority of the time. I know I do sometimes. But over time, I’ve come to learn to try and see things from the other person’s point of view. Even I disagree with certain aspects, the fact that someone else had the courage to create a bold, personal interpretation of a beloved character is something I respect as an artist. All this to say is that I did enjoy Zack Snyder’s take on Man of Steel. It was by no means a perfect movie for sure and it had its flaws. 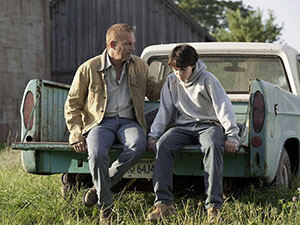 But regardless of what people think of Zack Snyder’s take on Superman, I feel as though people are glossing over the most important message of the entire film: being a good father to your child can make a world of a difference in his or her life. The life and example of a good dad makes a huge impact on how his children will grow up to be, and that’s a message that needs to be told to our generation more than ever.